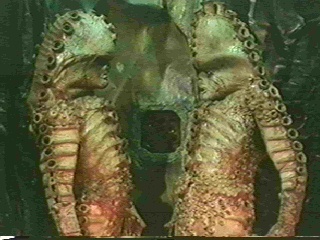 The Zygons appeared only in the classic 1975 story Terror of the Zygons. The fourth Doctor was called back to Earth in the 1980s by the Brigadeer. Three of the shape-shifting Zygons, an advance scouting party for an invasion force, had been living for the last few centuries near Loch Ness. 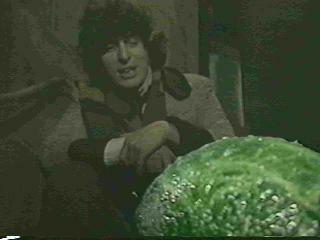 I always liked the look of the Zygons and their organic machines, which appeared to be more grown than made. 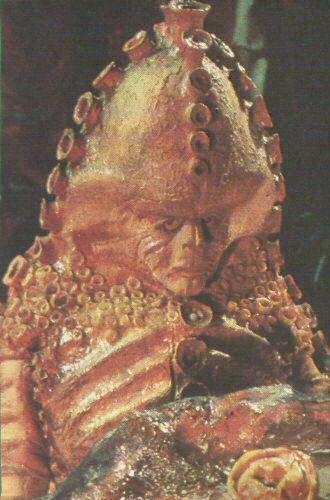 The excellent costumes made the Zygons one of the most visually effective aliens from the original series (and still look better than at least one alien I can think of from the new series). This was the last UNIT story for over ten years, and was the last story to feature companion Harry Sullivan. 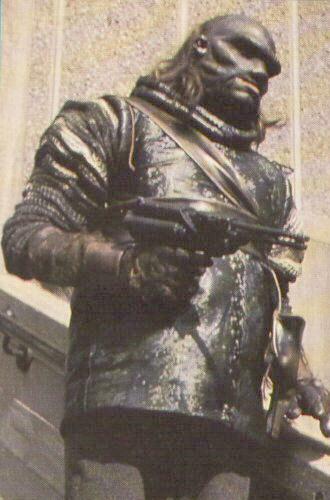 The Ogrons, mercenary ape-men who often worked for the Daleks, appeared in two of the third Doctor's stories: Day of the Daleks in 1972, and Frontier in Space in 1973. 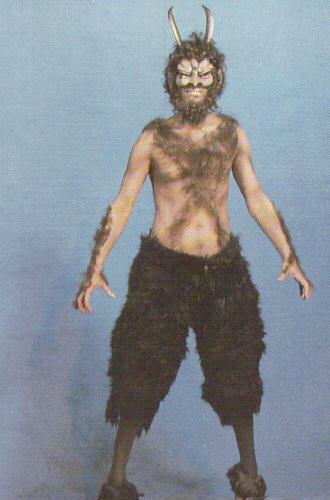 Only one Daemon, Azal, was ever seen on Doctor Who. Azal was one of a powerful extra-terrestrial race which inspired myths and legends in many religions of horned demons with cloven hooves. The 1971 episode, The Daemons, was one of just three Doctor Who stories which had five parts (instead of the more common four or six), and also featured the Master who summoned Azal. The other two five-part stories were the 1968 stories, The Dominators and The Mind Robber, which are two of the six second Doctor's stories which exist in their complete form. In Fang Rock, the fourth Doctor and Leela, heading for Brighton Beach, instead end up outside a lighthouse on a tiny island off the coast of England around the turn of the century. The two soon find themselves trapped in the lighthouse with a rapidly dwindling number of people, and a deadly, shape-shifting alien warrior. 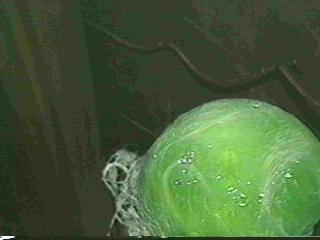 The Rutans, which look amusingly like glowing cabbages with tentacles in their natural form, are the ancient enemies of the Sontarans, and sound like this when they die. 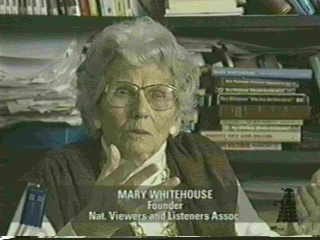 While not precisely a monster, Mary Whitehouse almost deserves the title for she dogged theDoctor's steps with her campaigns against violence in British television starting in the sixties. She frequently targeting Doctor Who specifically, despite admitting that the show had a certain brilliance. In her defense, Ms. Whitehouse was apparently under the impression that Doctor Who was aimed at very young children, rather than pre-teens and a family audience, which probably caused her many critical remarks.